Fan Art of Elie MacDowell . Let’s write about game characters i don’t know! She is one of the main protagonists from The Legend of Heroes VII (Eiyū Densetsu VII) 1st half, Zero No Kiseki. Elie is 18 years old, the granddaughter of the mayor of Crossbell and joined the police force there. She is very skilled with firearms and uses an orbal rifle as her main weapon. This week i try to feature video game characters i did not hear about before, to expand the variation of fan art on Game-Art-HQ, but damn..this is really difficult. 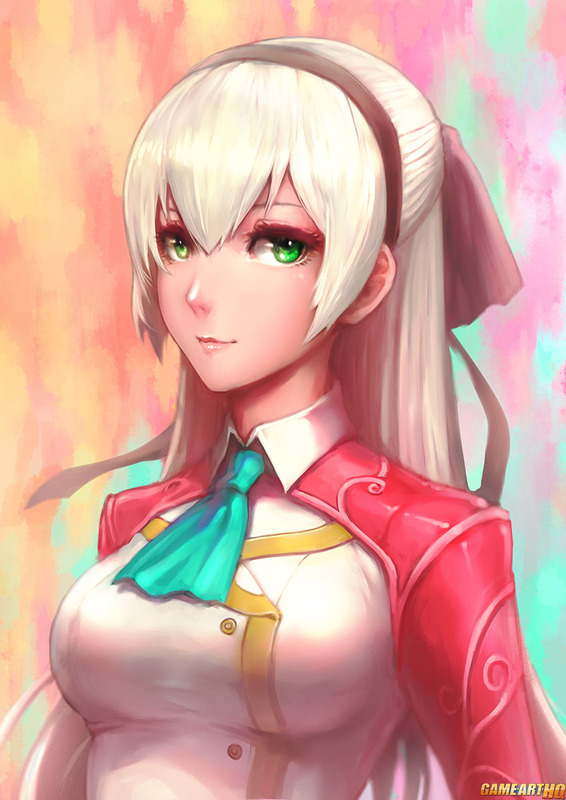 What’s not so difficult is to see that this portrait of Elie was done very well however, i saw official illustrations and screenshots of her now and its safe to say that the Taiwanese artist Hao Ge created a beautiful tribute to Elie MacDowell. Seems it is a big shame that these games are exclusive to Japan and were never translated and released in western regions. Its 2013 and we are still missing a lot of great RPG’s.